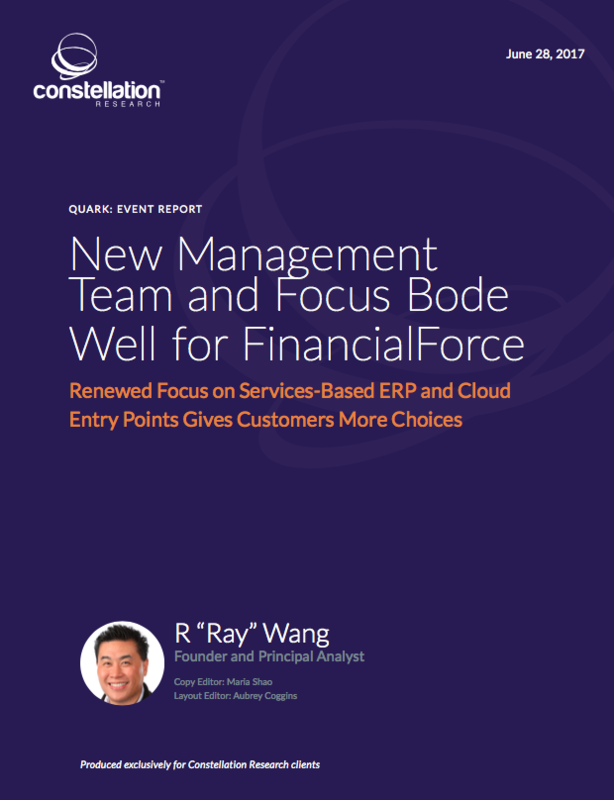 New Management Team and Focus Bode Well for FinancialForce | Constellation Research Inc.
Constellation attended the FinancialForce Community Live event in Las Vegas in June 2017. More than 1,000 attendees gathered to see the new management team and product roadmap. The market for cloud enterprise resource planning (ERP) software remains hot as regulatory requirements and modernization efforts drive upgrades and vendor selection. This Quark tracks FinancialForce’s progress to date and identifies the use cases where prospects and customers should consider the vendor on short lists.